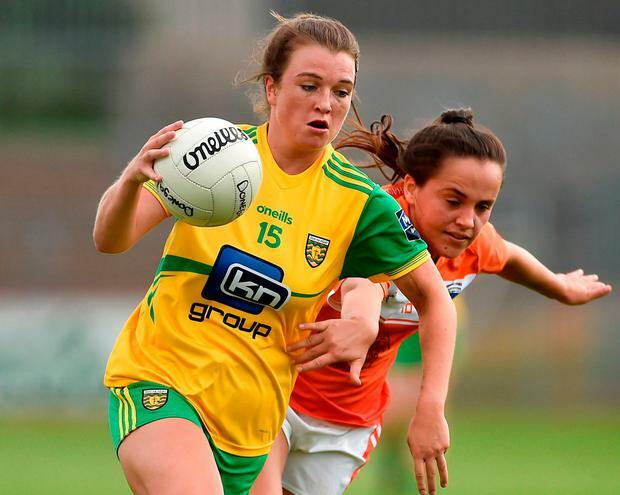 Donegal manager Maxi Curran believes the experience gathered in the new qualifier series stood to his side as they overcame Armagh in the TG4 All-Ireland quarter-final on Saturday. Since blitzing their way to the Ulster championship Donegal have come through some close encounters. Two weeks ago, they defeated Tipperary 0-17 to 0-14 in Castlerea and then a week later, managed to defeat Kerry on a 1-13 to 3-6 scoreline in Roscommon. "Last year Donegal went seven weeks after an Ulster Championship and were caught cold by Mayo and we didn't have that scenario this year," said Curran. "Maybe on the back of a tight game last week against Kerry and the week before against Tipperary, we got through today - you can't buy that sort of experience." Donegal's 28-point win over Armagh in Ulster meant they were massive favourites heading to Healy Park, but Curran felt the Orchard County would never be easy pickings. 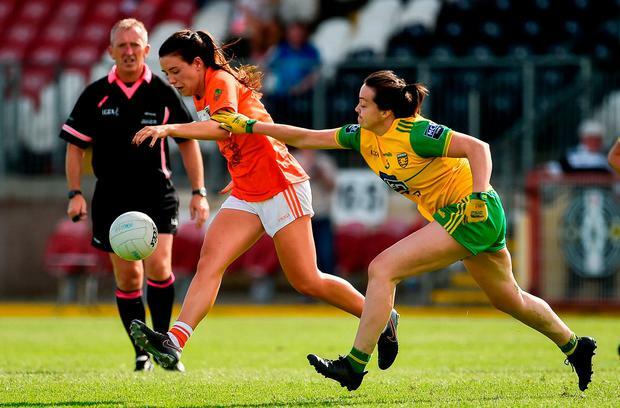 Even with Donegal 0-11 to 0-5 in front at the break, Armagh came back to level before two late points from Eilish Ward and one from Niamh Hegarty sealed the victory. "We got over the line. Only way to describe it. It was always going to be a battle, although it was a little closer than we might have wanted it," said Curran. 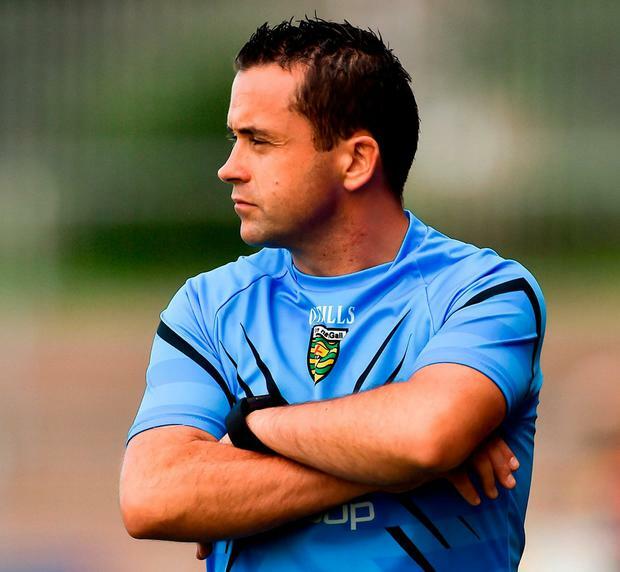 "Donegal and Armagh have had a long sporting rivalry and we've not always come out on top. "The score in the Ulster final didn't reflect the differences between the sides at all. "We might've wilted there at a stage today when the gun was put to our heads in the last five or 10 minutes, but the win shows the way the team have grown over the last couple of years. There was genuine delight there at the end and they were chuffed with themselves and rightly so. It's a hurdle we've fallen at before but you have to take every year at its own merits, so that's what we did." Donegal advance to face the winners of Cork and Westmeath in the final, while Armagh bow out. But star forward Aimee Mackin knows Armagh put up a big fight. "Donegal are a good team but we didn't do ourselves justice in the Ulster final and because of that we were underdogs today," said Mackin. "That might've suited us but we stayed in the game and managed to get right back into it, but when it came down to it Donegal had that little bit more than us and that's disappointing. "We did show some good spirit and we can at least have that." Meanwhile, Cork take on Westmeath in the Gaelic Grounds today (4.45) with both looking to earn a place in the last four. SCORERS - Donegal: Y Bonner 0-5; G McLaughlin 0-4 (1f); S J McDonald, E Ward 0-3; N Hegarty 0-2, A McDonnell, K Herron 0-1. Armagh: A Mackin 0-7 (2f); A McCoy 1-1; C O'Hanlon 0-2; K Mallon 0-1, 1f; B Mackin, S Grey 0-1. DONEGAL - L Gallagher; T Gallagher, N McLaughlin, D Foley; T McCafferty, C Hegarty, E Gallagher; K Herron, A McDonnell; A M McGlynn, N Hegarty, S J McDonald; G McLaughlin, Y Bonner, E Ward. Subs: A Boyle Carr and O McCafferty for Foley and McGlynn (48), K Guthrie for McDonald (58). ARMAGH - C O'Hare; S Marley, M Sheridan, S Reel; M Tennyson, T Grimes, M McGuinness; B Mackin, C O'Hanlon; M Morriarty, F McKenna, L McConville; A Mackin, A McCoy, K Mallon. Sub: S Grey for McKenna (h-t). REF - Brendan Rice (Down).